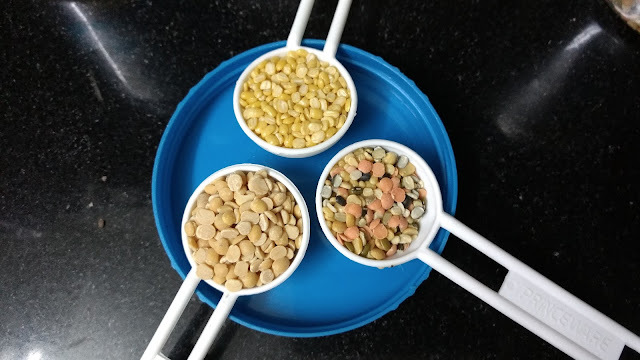 Pressure cooked dal khichadi with vegetable is your one stop solution if you want to churn up a fast, healthy and fulfilling meal not just for your one year old but also for yourself. Toddlers are very fussy when it comes to having food because by now they have understood flavours. So if it is not flavoursome it is not going to surpass their lips. 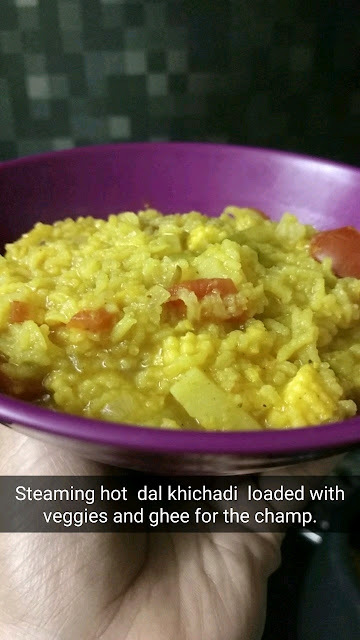 Hence my instant dal khichdi recipe is easy to make, is loaded with tons of veggie power and is tasty. Of Course each child is different, each family has its own preference of vegetable so choose accordingly. This quantity ideally is good for two adults. First take a small pressure cooker and add all the grains in and then wash them thoroughly. Add 4 cups of water and place it on the heat. Now deal with the vegetable. 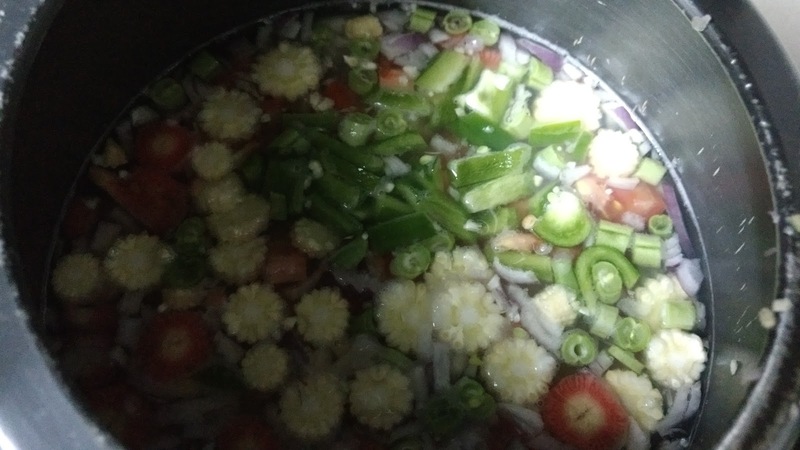 Wash, peel,chop into dice size pieces and add it to the cooker. Lastly add the biryani masala, other spices, salt and ghee. Close the lid and pressure cook for 3-4 whistles. Let the cooker cool and then open if it is still watery let it sit on some heat for a minute or two and then serve. 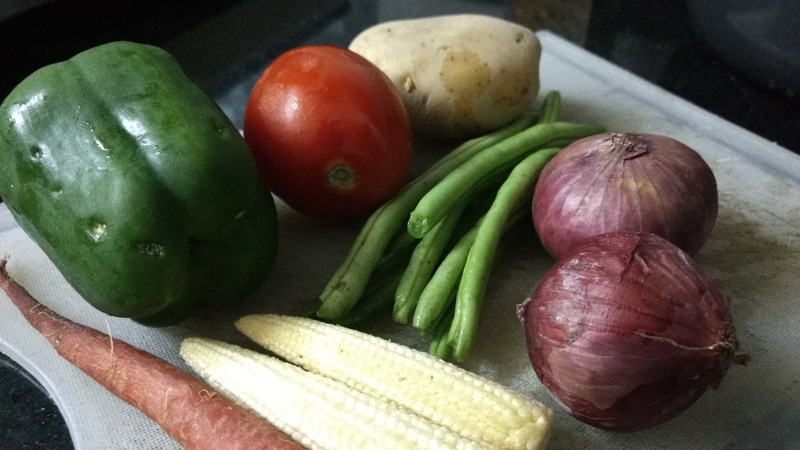 While you prep the vegetable the rice and dal already cook a bit so in 3 to 4 whistles your meal is ready. You can make this totally oil free if needed to be served to an ailing person. 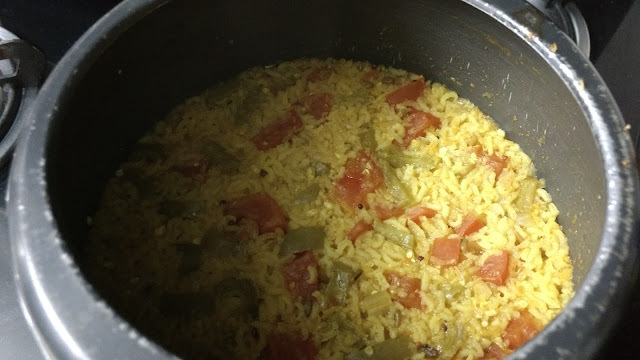 Since it doesn't come out totally smashed it is good to serve to adults you freak out after hearing dal khichadi. Also as it is soft you can press it by the back of your spoon while feeding it to your toddler. Lastly if your baby is transitioning from smashed-baby-food to normal-human-food which you cook in your kitchen (daily), this dish is a great start. Hope all the mothers out there find this really quick dal khichadi helpful. If so do comment below also send us your version of dal khichadi pictures. We would love to see those. You can connect with us on our Social Media accounts for our daily encounter with parenting. We are on Facebook, Instagram, YouTube and Snapchat.